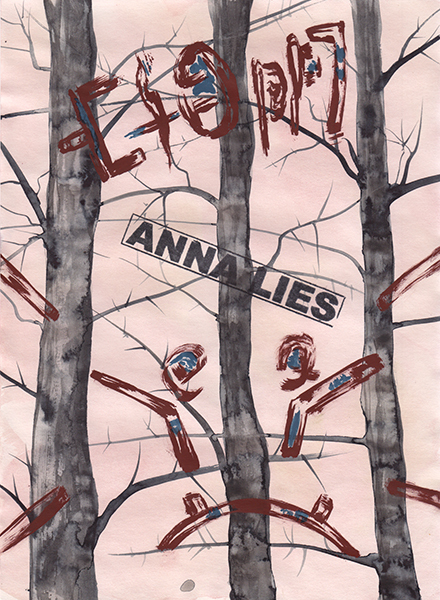 Over the past decade or so I have started most days in my studio by making a small drawing on A4 paper. 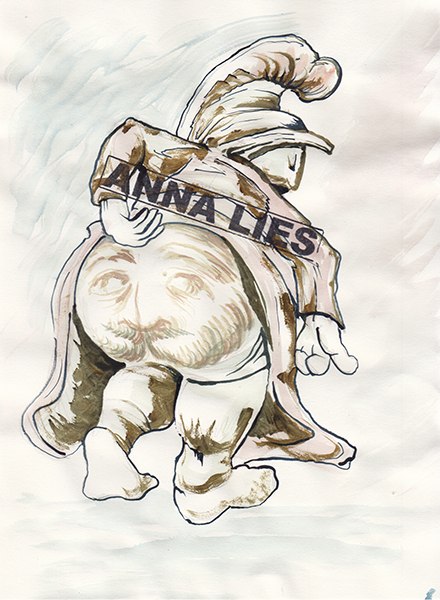 Like a stretch or limbering up exercise this activity was always meant to be an act of just doing something rather than producing anything. 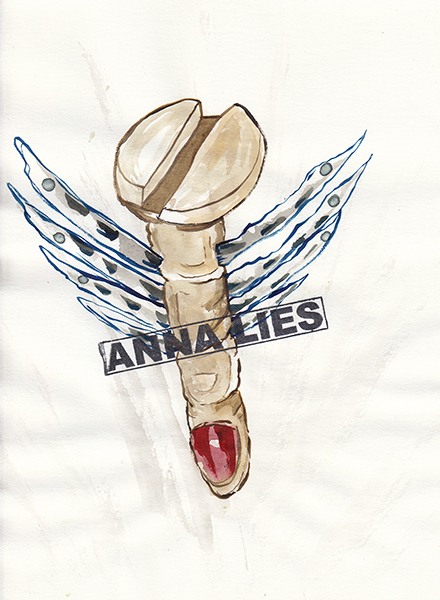 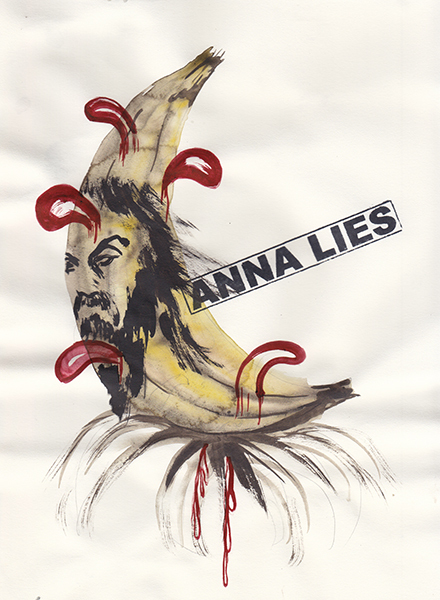 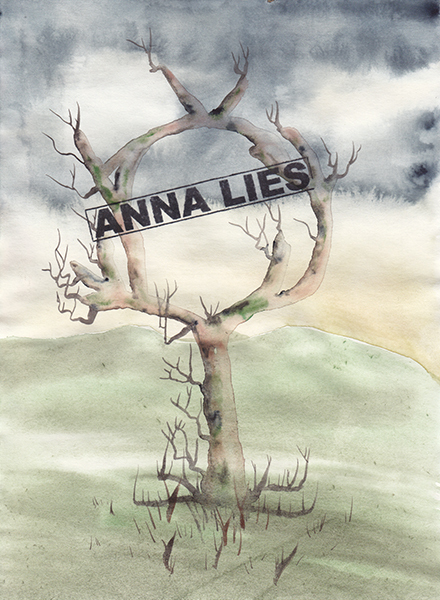 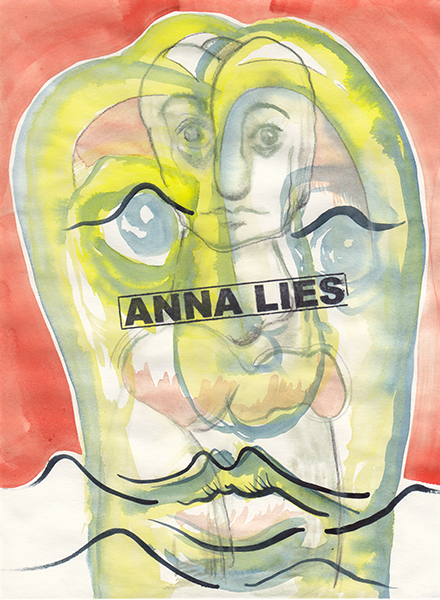 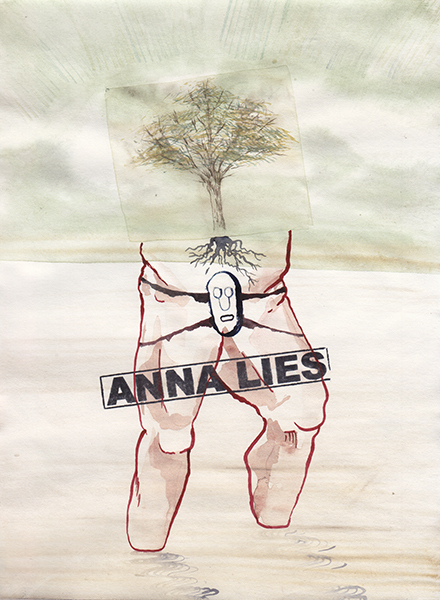 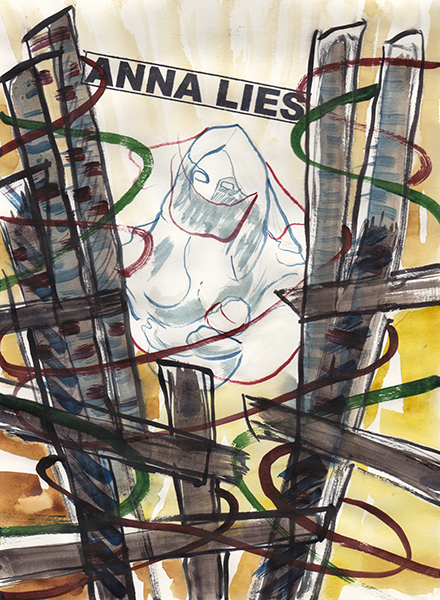 Each drawing was stamped, as a way of defacing or invalidating the image, with the words ANNA LIES.